Imagine a United States that was still at war with its native tribes. Imagine that the Indian reservations that dot the American landscape had no respected boundaries and that Apaches were encamped in eastern Arizona, Mohawks inhabited the Green Mountains of Vermont and the Lakota still hunted on the Great Plains. Now imagine that all these tribes want is land of their own and to be treated like human beings, and instead of honoring that desire, American companies level Arizona, strip mine the Green Mountains and burn the Great Plains. In the process, the native peoples of these lands are systematically ignored, brutalized and then murdered in ways that are as horrific in their details as they are for their regularity. In South America, no imagination is required. This is happening right now. Ambrósio Vilhalva was a Guarani leader who spent decades campaigning against the planting of sugar cane on his tribe’s former lands. Vilhalva starred in the award-winning film Birdwatchers and traveled the world to speak about the Brazilian government’s failure to protect native Guarani land. In December 2013, after months of death threats, Vilhalva was found dead in his hut from multiple stab wounds. Marinalva Manoel was also a leading figure in the Guarani Indian repatriation movement. In November 2014, she was found dead on the side of a highway after being raped and stabbed to death. 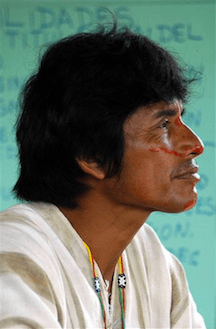 Edwin Chota was an activist leader of Peru’s Ashaninka people who for years fought against illegal logging in the Amazon, going so far as to confront armed loggers with a machete in his hand. 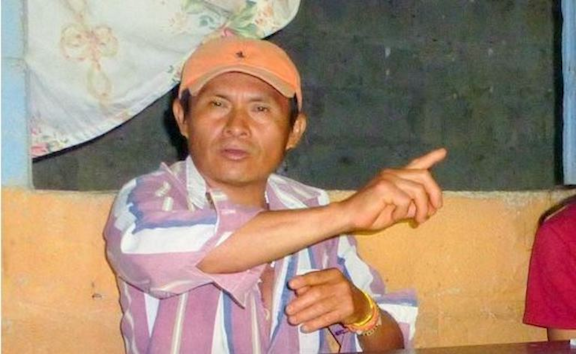 In September 2014, Chota and three other Ashinanka men were ambushed somewhere on the Brazilian-Peruvian border and gunned down with shotguns. José Isidro Tendetza Antún was the former vice-president of the Shuar Federation of Zamora, a native Ecuadorian tribe. An outspoken critic of Amazonian deforestation, Tendetza was scheduled to speak at the UN Climate Summit in Lima, Peru. After disappearing on November 28, Tendetza’s body was unearthed from an unmarked grave, his limbs bound with blue rope and his bones broken from torture. These are but four high-profile deaths in a struggle that has lasted for decades. Indigenous lives are regularly lost in the fight for land rights against clear-cutting businesses and ranchers with deep pockets. Most frightening of all, South American governments seem largely incapable – or at worst, unwilling – to stop these brutal murders. 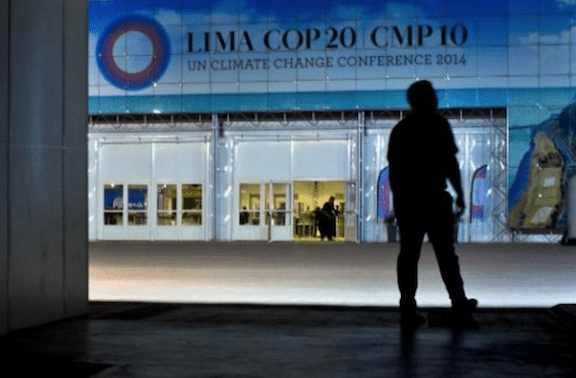 This past December, delegates from 190 countries congregated in Lima, Peru to set guidelines for reducing carbon emissions and adapting to global climate change. Despite making a place for its own indigenous tribes at the summit, Peru failed to legitimately address the problems of those who are the “frontline witnesses of climate change,” as Juan Carlos Riveros, Conservation Director of World Wildlife Peru, told Planet Experts. 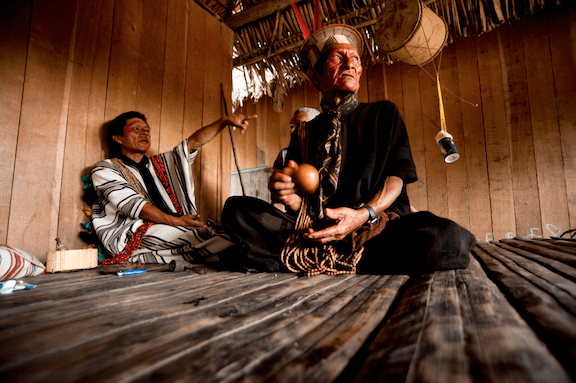 Peru’s native tribes represent a whole segment of the population that lacks full access to the democratic system, said Riveros, largely due to their lack of legal land. Today, even land that native people own is not safe from degradation. Chota’s Ashinanka people live in a region that is estimated to contain 80 percent of the illegal logging in Peru. 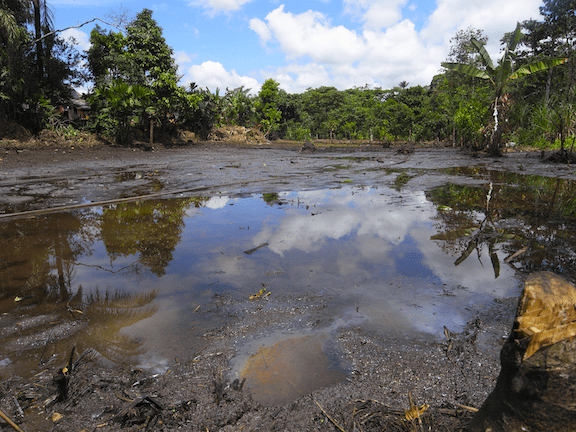 Meanwhile, between June 2014 and the COP20 conference in Lima, no less than five separate oil spills occurred in the Peruvian Amazon, the first dumping an estimated 84,000 gallons of crude into the jungle. Such spills could become common in Peru as, despite a pledge to generate 60 percent of its electricity from renewable sources by 2025, the country has opened up 75 percent of its rainforest to oil companies. 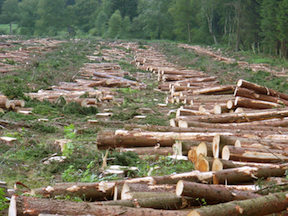 Deforestation, agriculture and other types of land use currently make up 61 percent of the country’s carbon emissions. For native Ecuadorians, just gaining a seat at the democratic table has proven a challenge. On their way to the Lima conference in December, Ecuadorian activists were stopped no less than six times before their bus was finally confiscated by police. Andrew Miller is the Washington, D.C. Advocacy Director for Amazon Watch, an organization that works directly with indigenous communities in Brazil, Colombia, Ecuador and Peru to fortify the long-term ownership and defense of their lands. In an interview with Planet Experts, Miller explained that the struggle for indigenous rights, as recognized in international treaties and declarations, “frequently runs counter to the economic development plans of governments, regardless of political orientation.” This struggle is not limited to the Amazon, he acknowledged, but also around the world. “Natural resource extraction within indigenous territories is a central focus of both right-leaning and left-leaning governments around the [Amazon],” he said. This makes any attempt to articulate grassroots concerns or highlight indigenous voices an awkward experience at even the high-minded COP20 talks. The most horrific aspect of these murders is the apparent apathy with which they are received by South American governments. The actual murderers are rarely caught and the individuals behind the murders are never implicated. Abreu’s relationship with Brazil’s indigenous population is contentious, to put it mildly. 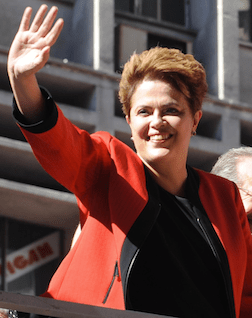 In 2013, she told a Sao Paulo newspaper that FUNAI, the government agency that oversees indigenous rights, is undemocratic because it gives disproportionate weight to indigenous matters. Brazil’s tribes, she said, are entitled to 12 percent of the country’s territory but only compose one percent of the population. Meanwhile, in pulling stewardship away from native peoples – whose relationship with the land has always been harmonious – agribusiness is essentially aiming to shoot itself in the foot. Experts believe that Amazonian deforestation has cost Brazil its “flying rivers,” water vapor that is transported via air currents to other parts of the region. Without the flying rivers, Brazil’s largest city, São Paulo, is now suffering its worst drought in 84 years. 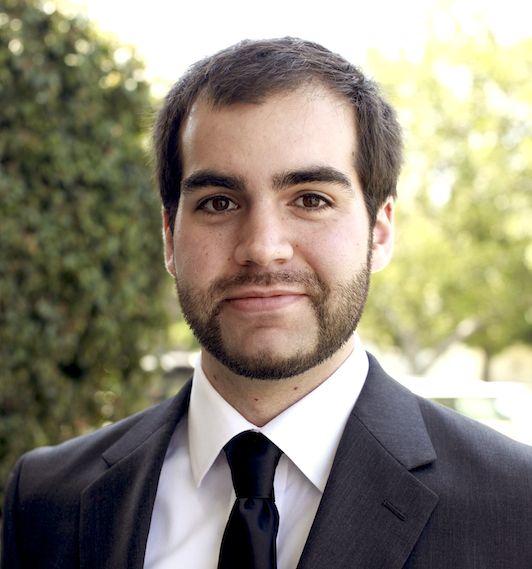 As to how the relationship amongst developers, governments and natives may evolve – or degrade – in 2015, Miller said the recent decrease in world oil prices will likely play a role. “Ecuador has accumulated billions of dollars in debts to China,” said Miller, “to be repaid in oil. This could significantly increase pressure for oil drilling, given the amount of oil they now have to send China’s way to repay the $13 billion is greater. In other contexts, the lower price might provide less economic impetus to develop new oil fields, lowering potential tensions. “Peru is launching 26 new oil concessions in the Amazon over the course of 2015, in addition to renewing existing fields that are extremely contentious. This won’t necessarily lead to overt violence, though increased social tensions are likely as communities demand land titles, remediation of past pollution and consultation around the new blocks. 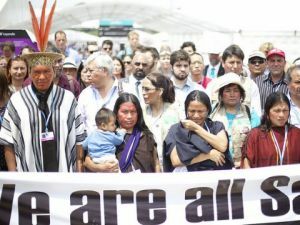 Saweto tribe protests at COP20 (Image Credit: Luka Tomacrs). Opposing free trade agreements such as the Trans-Pacific Partnership can also influence actions in the Amazon and tip the balance away from investor and corporate rights and back into the hands of local communities. Finally, Americans can support the work of Amazon Watch and others that are advocating for indigenous rights. I was going to post to facebook but since I live in Ecuador I was disturbed by some of the exaggerated comments. consequently it makes everything you say suspect. Not what I want to see or hear as am a solid supporter amazon issues. Thank you for reaching out, karen. Which comments are you referring to specifically? Please stopp this. We only have one world! I understand the point that the author is trying to make. But actually, the USA IS still largely “at war” with its native population. They are STILL taking native land, breaking treaties, sucking up/stealing water, hoarding resources, waging a poverty war, and perpetuating social divide. Worst of all… these things are thought of as a thing of the past by the larger culture. It hasn’t stopped in the least. Otherwise, great article. Thank you. This is all very true, Amanda. I opened the article with the comparison as a way to contextualize the violence, but also to make a point that North America has also done a pretty miserable job treating its native populations with respect. However, the outright brutality of that relationship is not quite so bad as it was in the mid-twentieth century. Still, I’d hoped that by bringing this fact up in the beginning, it might ease readers unfamiliar with American ‘Indian’ policy into learning more about that sad relationship. I am saddened for the people that are haunted and the nature that is destroyed ! I am horrified to see, that history and experience has no impact to stop this destruction! I am in awe of the people fighting for their rights and interests and freedom, surrounded by ignorance and greed! Porque será que a justiça não funciona quando diz respeito aos povos nativos? Brazil’s Capital is Brasilia, not São Paulo. Thanks for pointing that out Filipe. I conflated the nation with its state of São Paulo, of which São Paulo is the capital. I have updated the text. Money speaks louder than anybody’s rights! It’s true all over the world… Unfortunately. It would be nice to break the shackles of that modern slavery system we call debt. Does it not ring a bell that national security is synonymous with commercial monopoly? Lincoln, Garfield and Kennedy have paid the ultimate price for standing up against the banksters! When will all we wake up?